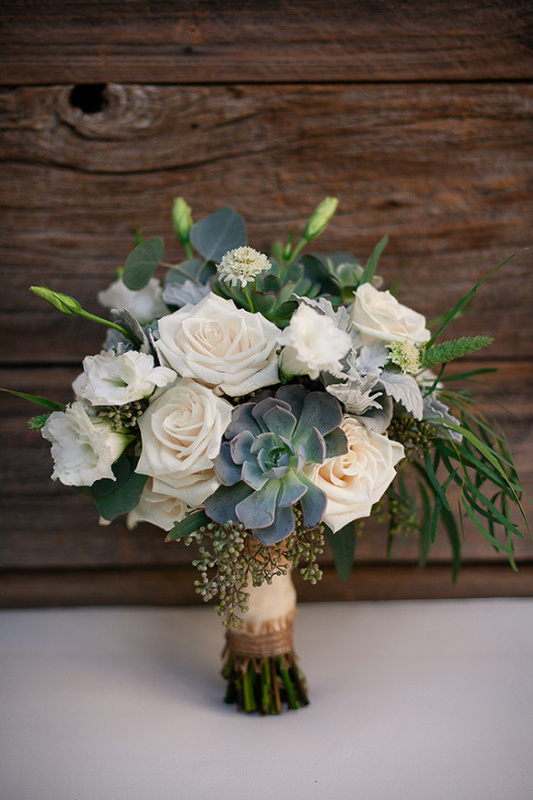 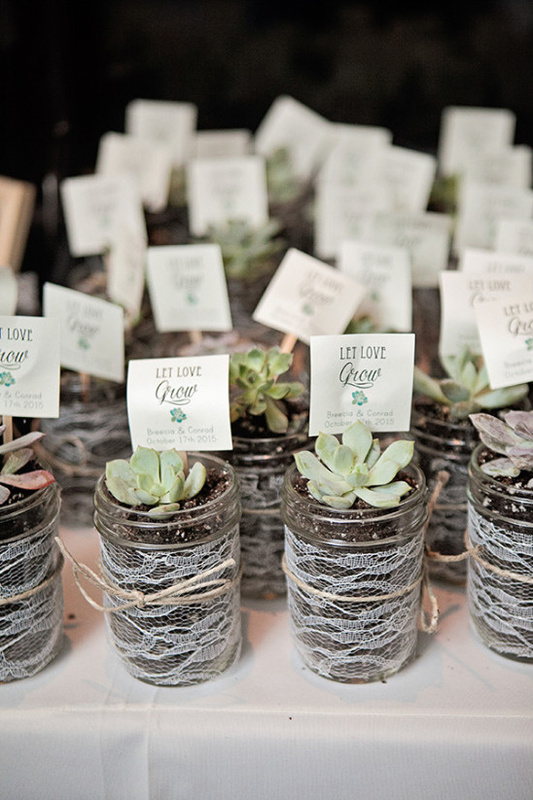 Succulents and white roses adorn Breecia's + Conrads chic boho wedding in California. 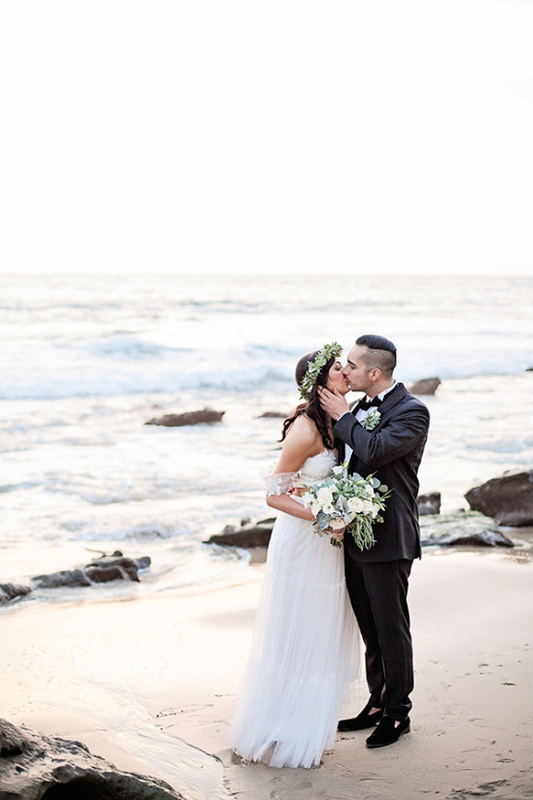 Their quaint, yet ultra stylish venue at Seven4One offered the perfect one-of-a-kind circular ceremony space for their intimate nuptials that we just love! 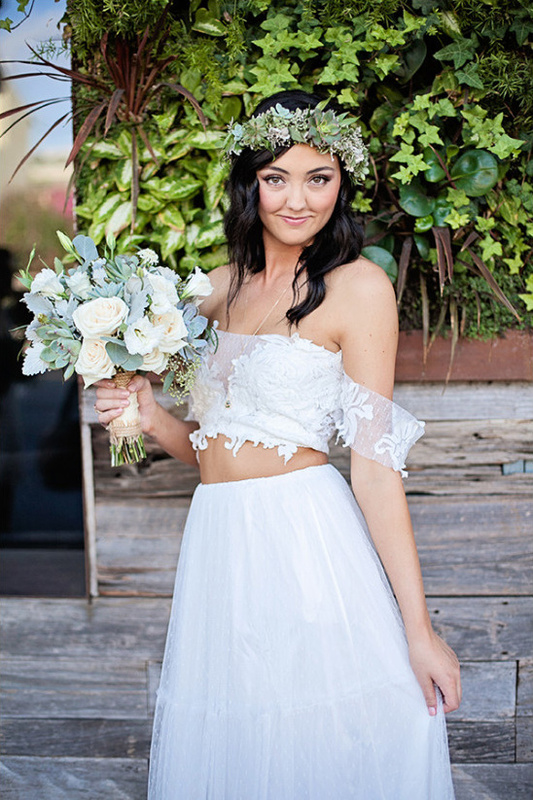 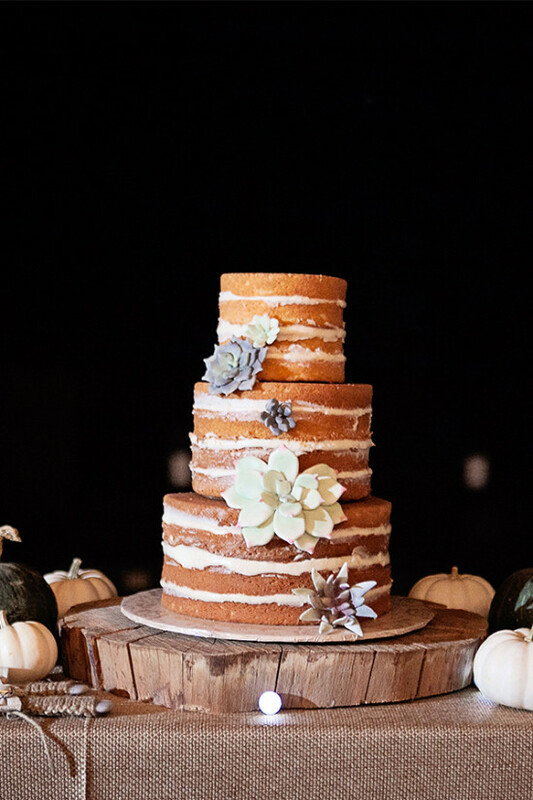 Nicolette Moku Phototgraphy did an amazing job capturing all of the beautiful details and you have our all-inclusive back-stage pass to the full gallery for more white and green chic boho ideas. 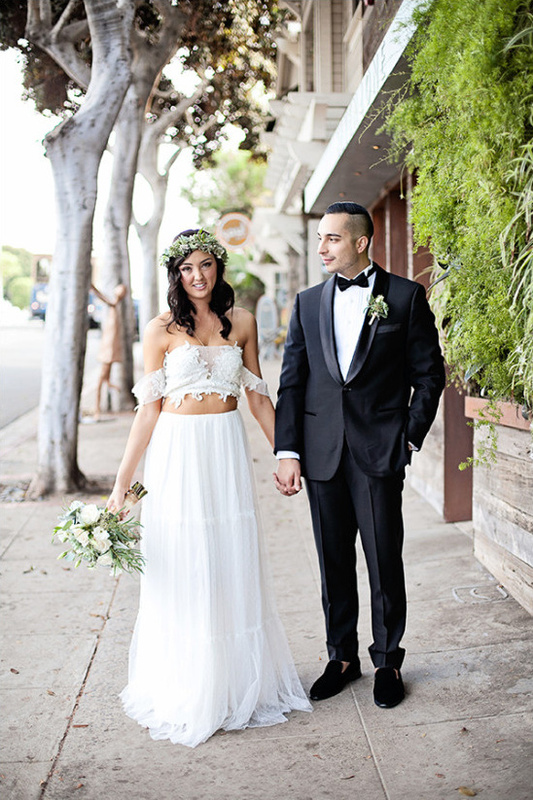 The bride wore a floral crown, held and succulent filled bouquet and wore a 2 piece lace gown. 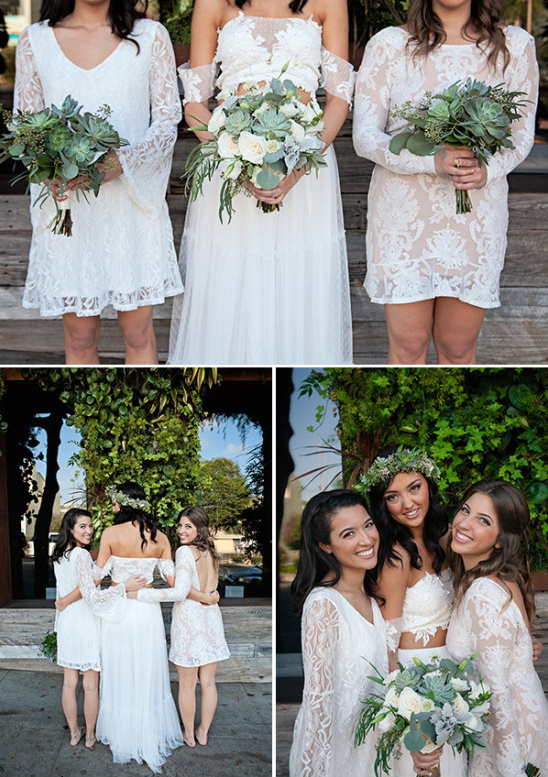 Each bridesmaid had their own unique lace dress. 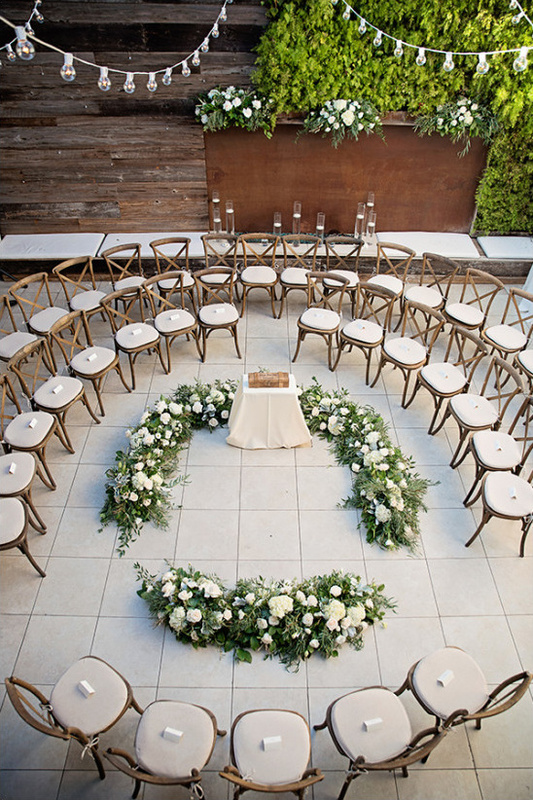 The ceremony was held in a one of a kind-circular seating with the bride and groom in the center. 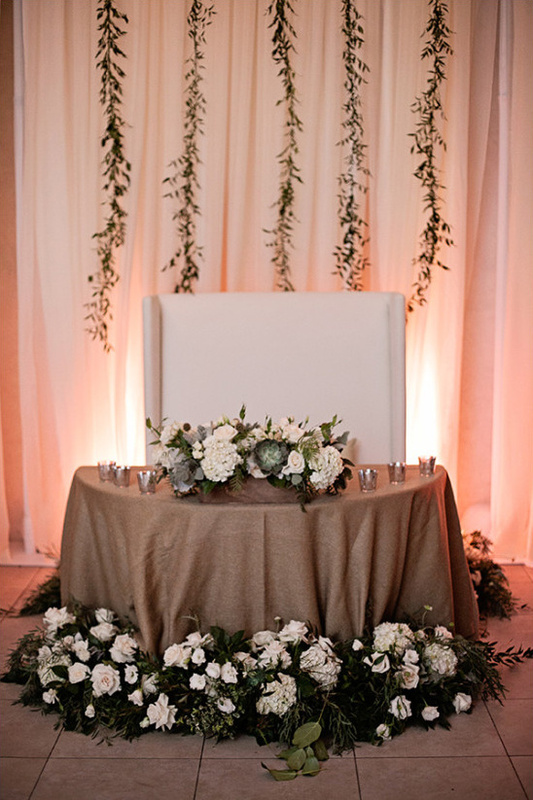 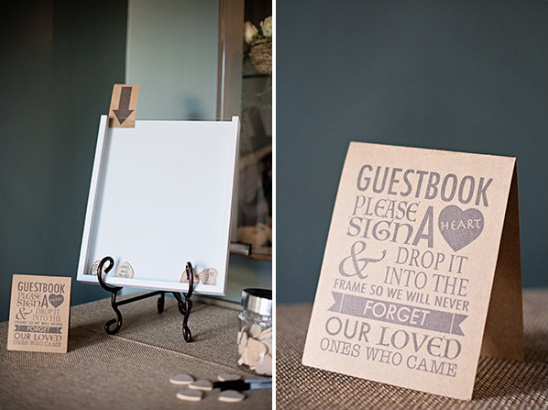 The chairs were wood, with floral decor surrounding their circle in which the bride and groom stood. 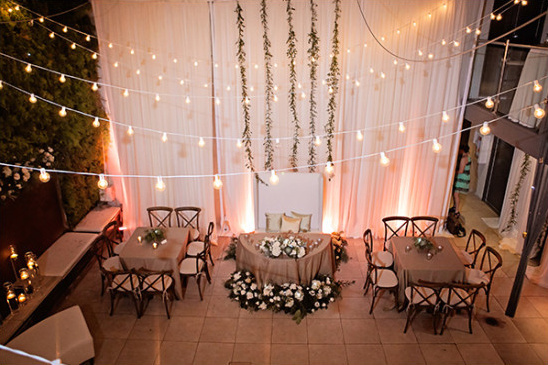 The reception was dimly lit with draping lights across the courtyard. 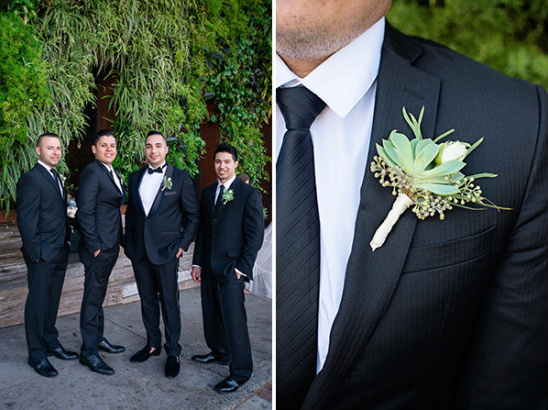 Fairy berries were glowing in the living wall and center pieces throughout the reception. 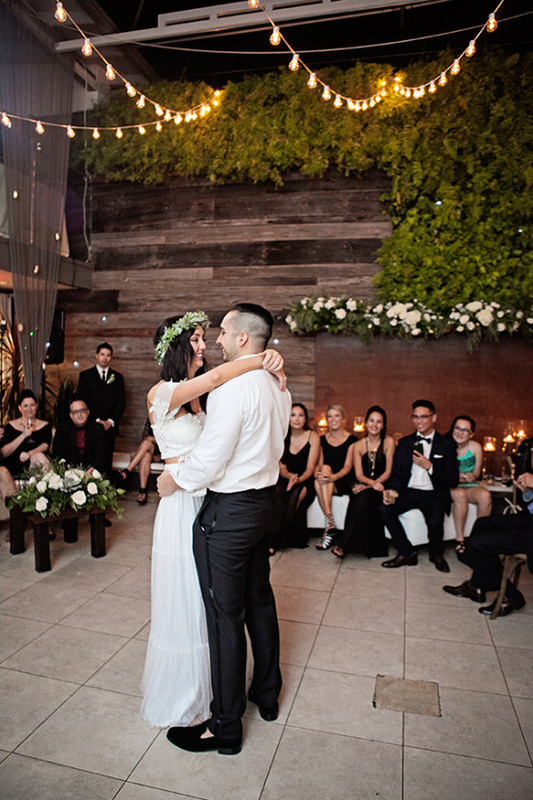 The guests enjoyed the night with dancing and cocktails in the open air courtyard. 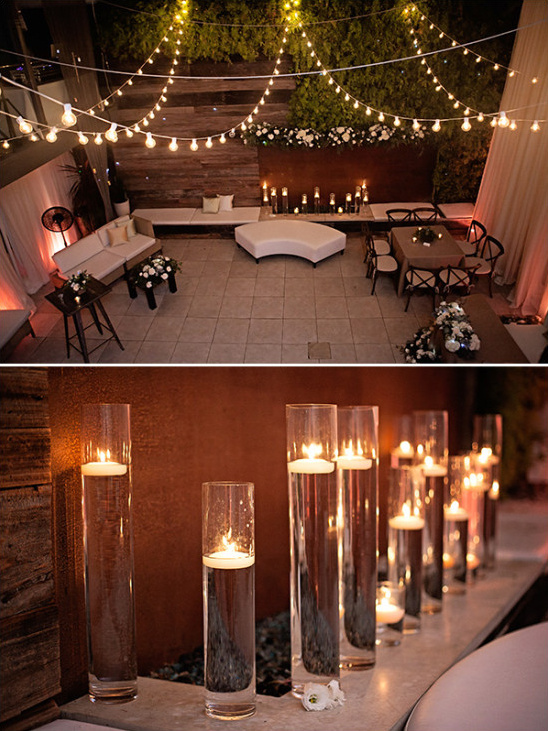 The venue; Seven4one, is unique in itself. 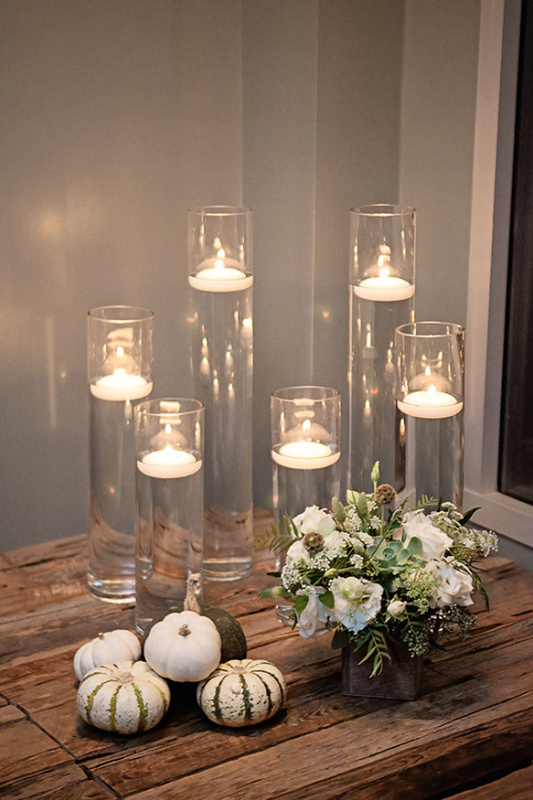 It holds a max of 100 guests and specializes in cocktail style receptions. 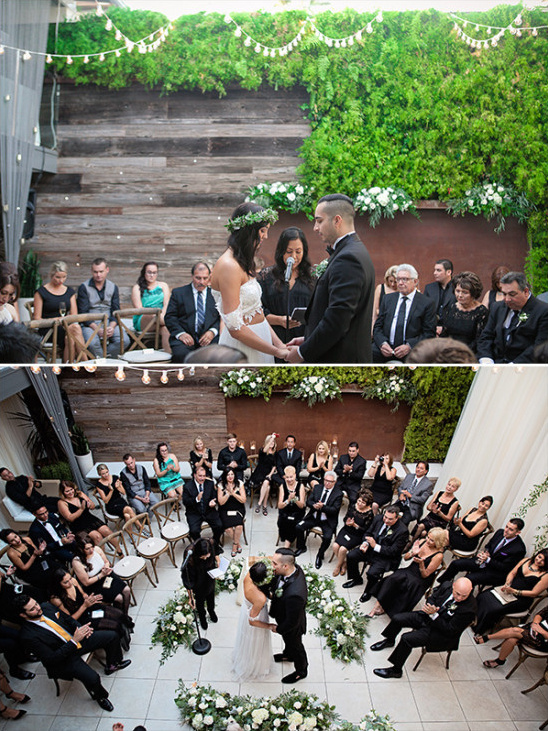 The venue is beautiful; with 2 living walls, a deck with an ocean view, amazing cocktails, service, and food.